July was mellow, August Will Roar! Right after my last blog post my favourite model and friend arrived in town and the crazy whirl wind of creativity started! So my model stayed with me for 2 nights, and in that time we managed to cram in 2 sessions. Not as many as we had hoped but we were both so busy with other stuff it was all we could manage. And considering we pulled off the second at 11 pm after a long day and short night from before, and the images came out spectacularly well, given I didn’t have the right kind of equipment: We did really well in the creative imaging this time around! The above image is from the second session. It is a boudoir session with a single light to create some dramatic focus and lighting angles. It was unfortunate that this session did not go as originally planned as the equipment I have was not what I needed to complete the creative drive behind the session. We did what we could and changed our expectations of the session and made it into images like the one you see above. I think given the circumstances this session was a roaring success. The first session we did was for my holiday business cards. Early in the season, I realize, but I wasn’t going to pass up the chance to have the images completed with my model Skyla early in the year when we are both less busy, than waiting and missing the chance of doing them altogether. We really did have fun with this session, the only thing I would have done differently is play holiday music to really get into the spirit. 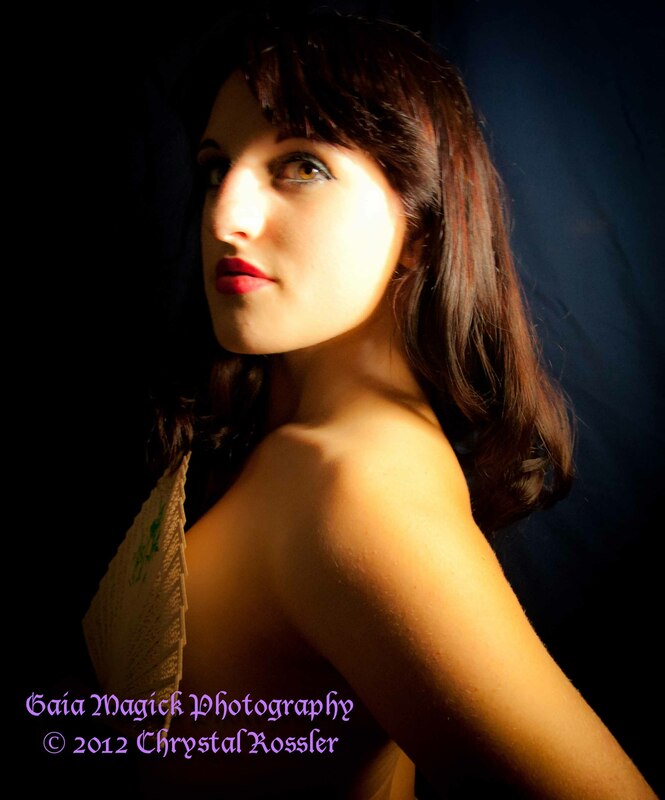 We played around, and gave these images a distinct pin up feel. I think my clients will enjoy their holiday cards this year. I know I will! More sessions to come. Don’t forget to head over to my website to see what is new! And if you are in the area and interested please feel free to contact me to receive more information on having your own session. Beautiful pictures of a beautiful model by a very beautiful photographer.